You find yourself thrown into a quest for survival on this island during the middle of summer. Joining you are six pairs of twins who seem to have an affinity for skimpy, two piece bathing suits. 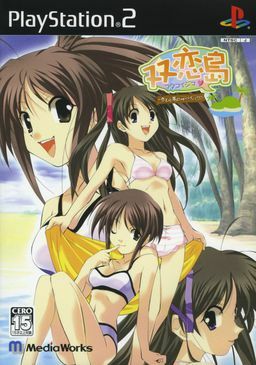 The game begins when the main character and the twins awake on the island with no memory of how they got there. Your goal is to escape from the island, and to do so, you must try your best to work with the twelve girls. Using the new Free Character Costume System (FCCS), you can dress the girls up in clothes of your liking and send them out on expeditions throughout the island. The Twin View System, featured in the original title, has you converse with the twin pairs via split screen. Based on your responses, the balance of the split screen will change giving an advantage to one twin. The Bakyun System also returns with this title, giving you time limits as you respond to questions from the girls. Gameplay takes place on a day-to-day basis as you work from your rising time in the morning until bed time at night. You start your day with a morning meeting. This is followed by the start of the island expedition. The day ends with the night meeting followed by the handing out of presents. When heading off on expeditions, you get to pick one pair of twins to accompany you. Your goal in these parts is to find new items and new spots. The places you can access are dependent on the twins that are with you at the time. You can also expect to uncover events along the way.